In what will be his third fight of the year, Riverside, California unbeaten prospect Joseph “El Tigre” Landeros will try to keep his undefeated record of 14-0 (14 KO) alive, on a “Nights of Boxing” series card, scheduled for December 7th at the Big Punch Arena in Tijuana, Baja California, Mexico. The opponent is to be determined for a fight scheduled to 8 rounds in the Super bantamweight division. 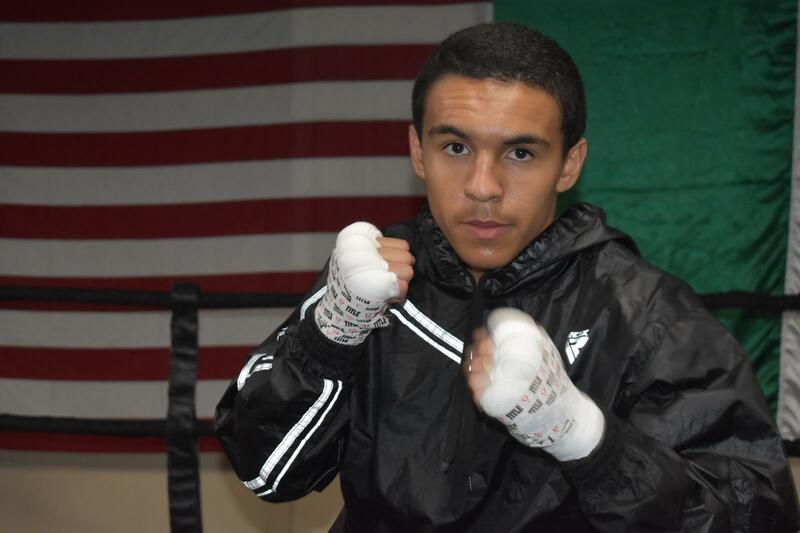 For the Riverside fighter, 2018 has been a year of transition and preparation for his incursion into boxing in the United States. At 17 years of age, this year he has spent a significant amount of time to close his studies and his status as an Honors Student at King High High School in Riverside, where he will graduate next summer. Another reason for the reduced activity on the ring, was his participation in two independent movies, related to boxing along with changes in the training team. Now, close to turning 18 and being able to fight legally in all the states of the American Union, Landeros will be making a last fight in Mexico, before scheduling his presentation in the United States. For the so-called “Tiger”, his unbeaten record in 14 fights in professional boxing began at 15 years of age, after winning two gold medals in the Bi-national Games, a competition between amateur boxers from Mexico and the United States, alongside 12 gold and 4 silver medals in amateur competitions in the United States. “Fighting professionally in Mexico has given me the opportunity to grow at a good pace and to develop my boxing level little by little, I have fought in 4 cities in Mexico and fights have been canceled in three more cities. It has been a great experience to fight before a different public and to gain experience while waiting to fight in the United States. ” said Landeros who had 3 fights in 2016, 9 in 2017 and 2 in 2018. “I have patience and many times you can not fight as many times as you want, I know I have to be well prepared for the future, my team has sought to continue with a good preparation for the future and the priorities have been changed, looking for better training instead of many fights. We have trained with great fighters, including sparring sessions and training with former world champions, and 2018 was the year where we built our gym to facilitate our preparations. Overall it has been a year of progress and a good preparation for the future, “added the fighter. “After fighting in Chihuaha at the end of 2017, in a cold climate, we returned to fight in Rosarito and Tijuana. In each fight, we faced opponents with different characteristics were searched, finishing with a left-hander in the last fight, where I could see that it is difficult to make the 118 pound limit where I have been fighting and now we are going to raise a bit in the weight to tray to go into the fight with both speed and strength, “concluded Landeros, who made his professional debut on September 30, 2016. The boxing card will be televised via delay bradcast to USA through the World Class Boxing program presented by LATV Networks and PTV in Mexico.